Not sounding like a great day in the office for Kik. Not watching, but 'Veen needs to win these 4-8 head-to-heads. Heerenveen to the next round of the Dutch cup, but it was a win that was hard to get against amateurs Odin '59. Phillipe Sandler is returning to fitness and is hoping to get his chance in the Manchester City first team this winter. The 21-year-old made the move from PEC Zwolle to Manchester City in the summer but has struggled with injury issues since then. Speaking to the club’s official website, Sandler said he is returning to fitness and is ready to be called on if Pep Guardiola needs him. He said, “I’ve been back in training for about six weeks after tearing my meniscus and I had my first full game against Barnsley in the Checkatrade Trophy. Sandler believes his playing style is one of the reasons he was brought in by the Premier League champions, “You have to be confident on the ball, able to receive passes under pressure and be able to start playing out from deep positions – that’s how I played in Holland and that is why I was brought to City. “I think my playing style is the reason I’m here now because I play in a way the manager wants. “All the central defenders we have at City are top-line players and it’s a privilege to be able to train with them and learn from them every day. “I watch every game closely and during every training session watch what they do, how they cope with the pressure in certain situations and suchlike. The new year schedule sees Manchester City play several matches in close succession and Sandler is hoping to make his debut, “The main thing for me was to get fit and I’m getting there – not quite at the same match fitness level as I need to be yet, but obviously I’m working hard to be 100% fit and ready to play if needed. 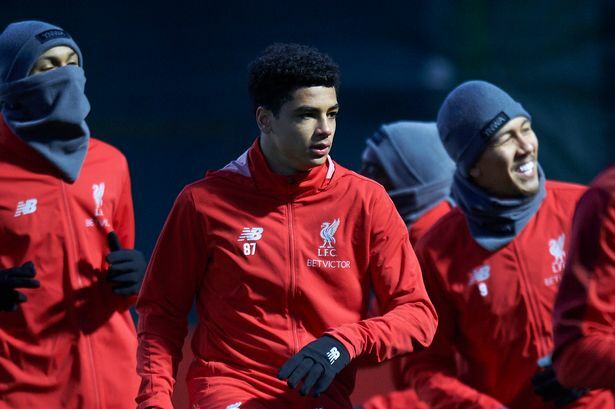 Meanwhile in Liverpool the 16 year old Dutchman Ki-Jana Hoever (central defender) is shifted into the first team selection. Iirc Hoever started in the AZ academy when Earnie Stewart was DoF over there. Tom Collingsworth and Rahbiefowlah repped this. Kik is going into a Dutch Cup confrontation with Ajax. The match will be played in this period 22-24 Januari 2019. Pierie with lots of minutes. One of the bright 2000 stars out there. Plus CD Philip Sandler just made his debut in the first ManCity team. Those Dutch defenders are all over the place. Dutch defenders increasingly debut at a very young age. Per Schuurs captain at 17. Kik Pierie debuted for Heerenveen at 17. Van den Berg debuted at PEC Zwolle at 16. De Ligt debuted at 17. Could Frank de Boer be targeting Kik Pierie? He told in an interview he's very interested in Dutch players with a Yank Passport, as these arenot a burden in the max 8 foreign players allowed. But they have to be of added value. Tom Collingsworth, ShaftBrewer, adam tash and 3 others repped this. i think he was speaking more generally about roster-building than about any specific players - but I could be mistaken. You're right. As there are not many Yank/Ned players he must be on the radar, but that's just speculating from me. let's see who is out there? fwiw, there is a lot of noise out there calling for various clubs to come after Pierie. Dunno if any of it is real, but it seems to my non-scientific impression that the "get Pierie before the big boys do" action has really ramped up - maybe his folks seeding the waters, or maybe just zeitgeist. Either way, he'll only last at 'Veen a few more seasons at best if he keeps on current trajectory. While 'Veen are supposedly looking to cut their wage bill, there are at least 5 names ahead of Pierie they're looking to offload. They've got two very good attacking players whose contracts are up this summer who are first on the block. But if Kik continues to get named to the Orange and get the press he's been getting, dunno how long they hold out. Are the Frisian family members already glued to the weather forecast screens because of the polar vortex issues, hoping for a "Elfstedentocht"? If my father-in-law were still alive he would fly over for it! I'll keep my eye on the weather. Started today at CB against Ajax and had an assist. However, Heerenveen conceded four goals. edcrocker, autobus39, Tom Collingsworth and 1 other person repped this. He’d walk into the XI for the mnt. He also had the tying goal in stoppage time. Game ended 4-4. His assist was on the second goal. Tom Collingsworth, USSoccerNova, freisland and 1 other person repped this. Tom Collingsworth, ChuckMe92 and autobus39 repped this.